In the past 10 years, since entering the Agrokor Group, the total investment in PIK Vrbovec was over 1.2 billion HRK with a continuous investment cycle. By implementing new cutting edge technology of product slicing, PIK has adapted to global food processing trends and introduced new innovative products to the market. Introducing sliced and packed product trend to the market, as well as significant investment, has resulted in consistent growth in sales of PIK sliced products over the previous years. In addition to existing three slicing lines, new line for product slicing and packing was purchased in 2016 due to the need for increased capacity, another indicator of growth in the segment of sliced products. Sliced products recorded record sales in the season of 2016 with over 4.3 million of packed PIK sliced products sold in July and August. All this would not be possible without the “White room” – part of the plant for product slicing and packing and one of the most modern plants in this part of Europe. It is the “White room” that provides slicing in highly hygienic conditions and protective microclimate that can be compared to most modern operating rooms. The “White room” has special cleaning and disinfection programs, microbiological analysis of air and space and disinfection of casings. 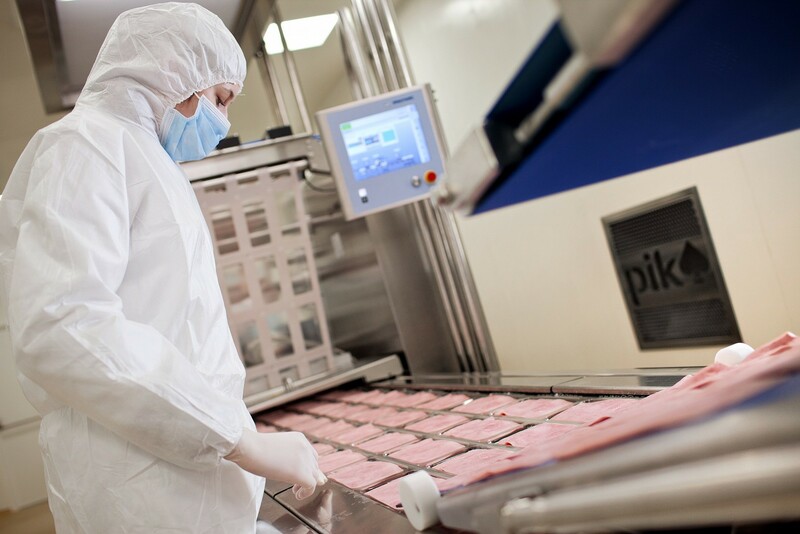 PIK Vrbovec complies with most demanding product standards thus ensuring top quality of PIK sliced products while preserving all organoleptic characteristics and microbiological safety. 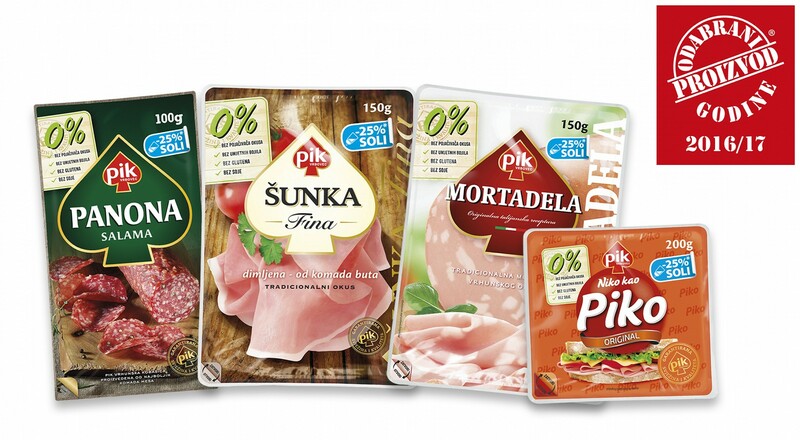 Then it is not surprising that the prestigious award Voted Product of the Year was received by PIK Vrbovec for the PIK sliced products category. This award is a consumer voted award for the best new, changed or improved product. PIK sliced product assortment offers a wide range of meat products and the benefits of such products include preserving the freshness of the product, saving consumer time, top quality and convenience. Continuous innovation, cutting edge technology and modern equipment, product quality and consumer trust placed PIK in the position of an absolute market leader in the sliced product segment with 54% market share. PIK sliced products contain no flavor enhancers, artificial colors, gluten or soy and contain 25% less salt. “Thanks to continuous investments in product quality, following trends and a business philosophy focused on the market and the consumer, PIK Vrbovec is a recognizable brand and a market leader in Croatia, additionally strengthened by this award. The market responded positively to the innovations we have introduced and admires PIK Vrbovec as a trusted partner, but these type of awards, based on the consumer votes, are definitely the motivator that moves us forward.”, said Tihana Vujčić, marketing director in PIK Vrbovec. The concept Voted Product of the Year was established 29 years ago and currently operates in over 40 countries around the world with the same purpose: to guide consumers to the best new products available on the market and reward industries for product quality and innovation. Voted Product assists consumers while shopping by saving time and money, increases sales and distribution of the awarded product and reinforces the relationship between the producer and consumer. The transparency of the Voted Product of the Year is guaranteed by an independent public opinion research conducted by ACNielsen on a large representative sample of Croatian consumers and the highest possible international standards that define the winner of a category. All products and services on the Croatian market can enter the competition provided they had a change, improvement, innovation 18 months before submission, or the product is new.